I went to the supermarket to do some shopping with my children yesterday. I bought chocolate for my kids and husband while there, even though it was a little early for Valentine's day, because all of us had a day off yesterday and we were having a relaxing time. In Japan, it is common that women give chocolate to men on Valentine's day. I gave a box of chocolate to my husband. "Thank you! But... I know. You only want to eat them by yourself, don't you?" "All right, let's eat them together. Would you like a cup of coffee? Hey, Dad said you can eat the chocolate!" Our children were glad and came to the table. We enjoyed our time together eating the chocolate. There are not many things that are more fun than eating chocolates. I am glad that you had an enjoyable Valentine's Day. I went shopping to the supermarket with my children yesterday. 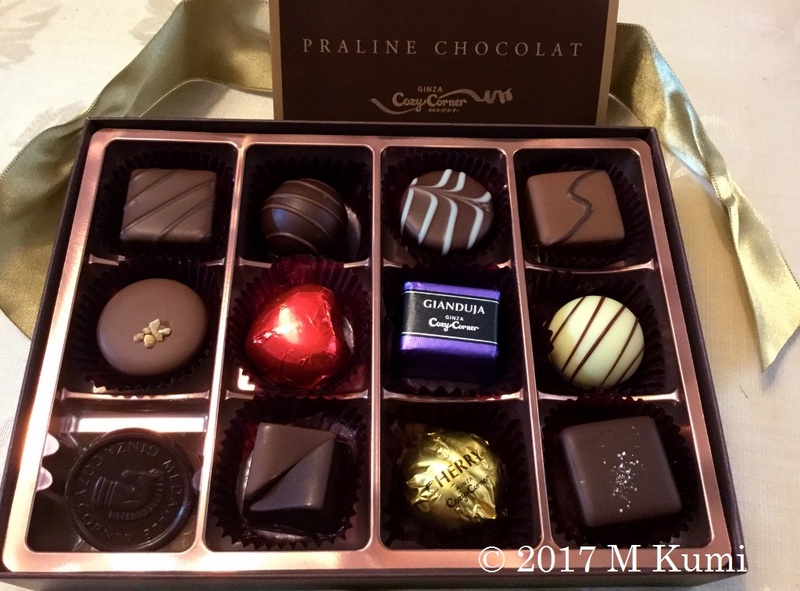 I bought chocolate for my kids and husband there even though it was a little early for Valentine's day, because all of us had a day off yesterday and we were having a relax time. Reason: You can use "to" but at sounds better with that phrase. "All right, let's eat together. Would you like a cup of coffee? Hey, Dad said you can eat the chocolate!" Our children were glad and come to the table. Our children were glad and decided to come to the table. We enjoyed the chocolate time. Does this "while" mean "while we were at the supermarket"? Yes it is a form of sentence abbreviation. It relies on the fact that you already mentioned where "their" was, the supermarket. I went to the clinic, while I was at the clinic I talked to a nurse. I went to the clinic, while there I talked to a nurse. It acts to make a sentence shorter and less repetitive. Oop "their" I should have typed "there".